We had a great Open House/Registration Day yesterday! It was great to have dancers and parents in the studio, seeing what’s going on and getting a bit of a before and after. 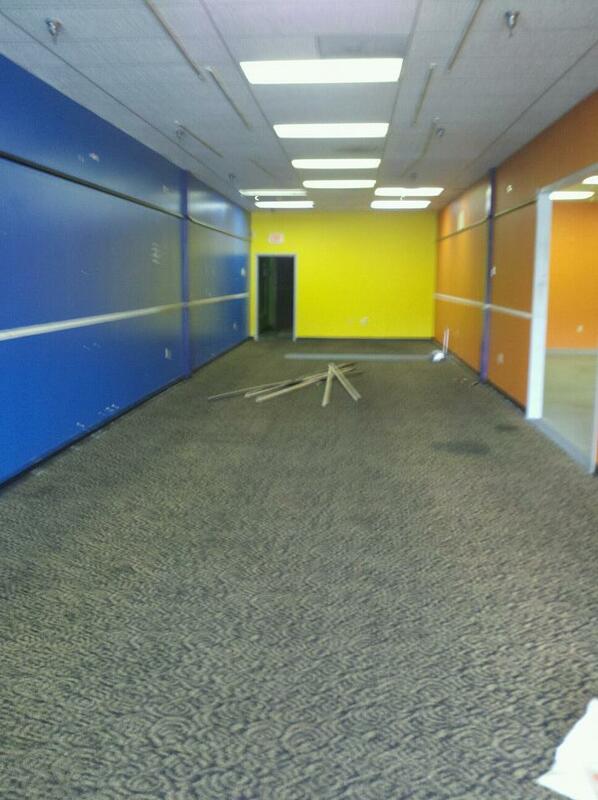 Riding high on yesterday’s success, we painted the lobby today! It still needs another coat to really finish it off, but it’s already looking great. It’s a huge improvement just to have all the walls the same color. Want proof? Ready for after? If you haven’t noticed, we get a little silly after painting. 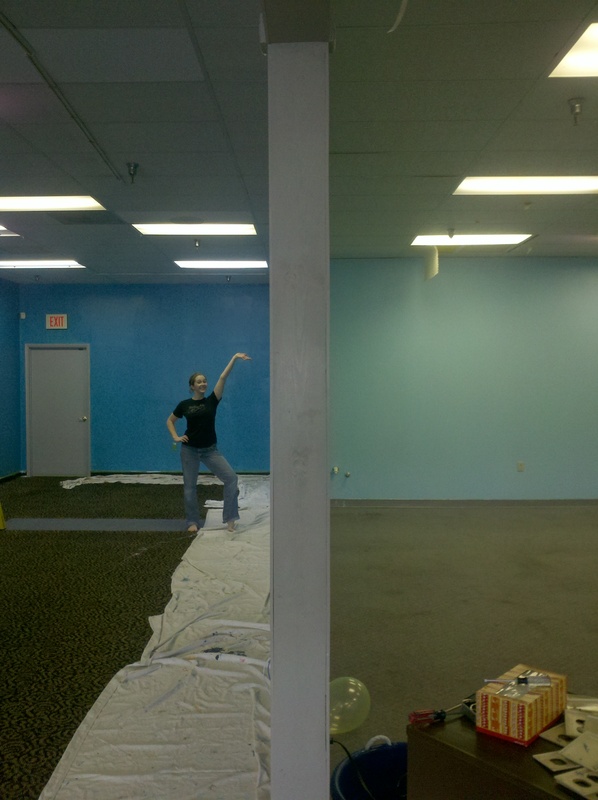 I think we’re just excited to be done painting…. I know it looks blue in the picture, but it’s actually teal. The color in the studio and the color in the lobby are on the same paint chip. So they’re the same color, just different shades. Now I have to do the thank you’s again. Huge thanks to Fred and Lizzie Kelly who are totally boss at painting really fast (did I mention we primed and painted a first coat in about four hours? ), Sophie and Lucy Kelly (who were super patient while Mom, Dad, Uncle Jonathan, and Aunt Val painted) and again to I Love NY Pizza who gave us a free pizza last night after so many of you left our Open House and went next door to grab a pizza. So I also have to thank YOU for letting them know we sent you because their pizza is *amazing* and we got to eat it for dinner last night while watching the football game. Just a reminder, I’ll be at the studio from 2-7 on Monday through Wednesday and most of the day Thursday. I have to duck out for a bit to work with the Heritage Middle School Dance Team on their basketball routines, but I’ll be there before 3:00 and I’ll check back in afterwards. Friday I’m going to try to be there during the day, but I’ll be leaving for Chattanooga that afternoon to go to the Tennessee Association of Dance Fall Conference where I”ll dance alllllll day Saturday (my birthday!!) and most of the day Sunday before I get to perform Sunday afternoon and head on home. So when Monday rolls around and classes start, I’ll be ready and rarin’ to go!!! If you need to contact me, you can email me at riversongdancestudio@gmail.com or call the studio at (865)609-6970. Posted on October 9, 2011, in Uncategorized. Bookmark the permalink. Leave a comment.